We started seeing tectonic shifts in the market during the third quarter. Small-cap stocks underperformed the large-cap stocks by more than 10 percentage points between the end of June 2015 and the end of June 2016. A mean reversion in trends bumped small-cap stocks’ return to almost 9% in Q3, outperforming their large-cap peers by 5 percentage points. The momentum in small-cap space hasn’t subsided during this quarter either. Small-cap stocks beat large-cap stocks by another 5 percentage points during the first 7 weeks of this quarter. Hedge funds and institutional investors tracked by Insider Monkey usually invest a disproportionate amount of their portfolios in smaller cap stocks. We have been receiving indications that hedge funds were boosting their overall exposure and this is one of the factors behind the recent movements in major indices. In this article, we will take a closer look at hedge fund sentiment towards Wyndham Worldwide Corporation (NYSE:WYN). Wyndham Worldwide Corporation (NYSE:WYN) has experienced a decrease in activity from the world’s largest hedge funds recently. 23 hedge funds that we track were long the stock on September 30. 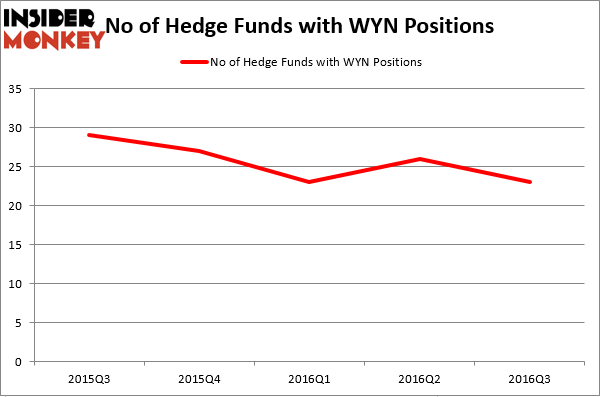 There were 26 hedge funds in our database with WYN positions at the end of the previous quarter. 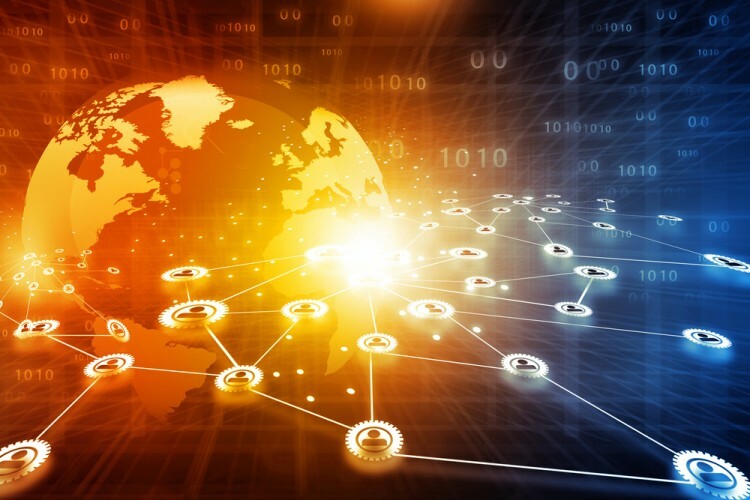 At the end of this article we will also compare WYN to other stocks including Westinghouse Air Brake Technologies Corp (NYSE:WAB), SEI Investments Company (NASDAQ:SEIC), and Jazz Pharmaceuticals plc – Ordinary Shares (NASDAQ:JAZZ) to get a better sense of its popularity. How are hedge funds trading Wyndham Worldwide Corporation (NYSE:WYN)? At Q3’s end, a total of 23 of the hedge funds tracked by Insider Monkey held long positions in this stock, a 12% drop from the second quarter of 2016, as hedge fund ownership of the stock remains volatile. Below, you can check out the change in hedge fund sentiment towards WYN over the last 5 quarters. So, let’s examine which hedge funds were among the top holders of the stock and which hedge funds were making big moves. When looking at the institutional investors followed by Insider Monkey, Iridian Asset Management, led by David Cohen and Harold Levy, holds the number one position in Wyndham Worldwide Corporation (NYSE:WYN). Iridian Asset Management has a $353.5 million position in the stock, comprising 3.1% of its 13F portfolio. On Iridian Asset Management’s heels is AQR Capital Management, led by Cliff Asness, holding a $60.4 million position. Some other hedge funds and institutional investors that hold long positions consist of Brett Barakett’s Tremblant Capital, David E. Shaw’s D E Shaw, and John Overdeck and David Siegel’s Two Sigma Advisors. We should note that none of these hedge funds are among our list of the 100 best performing hedge funds which is based on the performance of their 13F long positions in non-microcap stocks.